This week while I have been on a sort of working holiday in Singapore (working meaning I am still working but not doing any events or speaking or meetings so much) I managed to reduce my inbox count to a total of 0! YAY! My email is like a “to do” list – like many of you I am sure. And I file email every day as I feel I need to clear and delete before I can concentrate on the big emails that need more “headspace”. NonFilers – who have thousands or tens of thousands of emails in their inbox, and leave everything in their inbox and just search for what they want. I try not to judge those crazy reckless folk. Maybe they are on to something. Maybe it’s better. Some of these people have a few sub folders but don’t really feel the urge to file all their email (how can they just leave it?). But I do admire these people. They don’t get stressed about it, and often miss things, because they think if it’s that important, the person will email again, or just pick up the phone. And I also file my sent items. And so does everyone in the Top Left Design team – as we have a shared email area for projects so all project emails are accessible for everyone. It’s good to be organised! Is Inbox Zero worth it? Yes! I feel great! I want to share how I did it! I feel “on top of things” and “up to date” and all that nice stuff. Obviously I spent several hours processing email to acheive InboxZero this week. And I used lots of quick methods which I am eager to share with you. And I have a few add-on apps installed on my Outlook to help me too. But my normal inbox number hovers between 70 and 300 so it really is an achievement. it doesn’t last long, but it feels good to know I am that on top of my email. I see my inbox as a to do list. Each email needs an action – reply, file, delegate or delete. 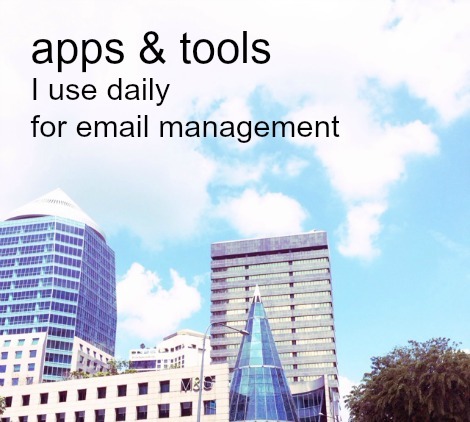 But onto the juicy bits – my tips and tools for email management! I flag emails which are “opportunity related” with the little flag feature in Outlook. So things I need to respond to quickly I flag on my Iphone and then when I get to my laptop or PC I can action those first. If you have things that you have to explain to people often, have pre-written blurbs and paragraphs in a folder. I have links to blog posts I often send, and links to Slideshare presentations that explain things more visually. I also have a folder full of PDFs I need to send often – for example a map to our office and information about our hosting packages. I have been known to complain about the huge amount of email I receive. “I have SO many emails” I say to people. I am sure the rest of the TLD team are thinking “yeah, Keren says this way too often”. This month, I decided to rename my inbox as the “Opportunity Inbox”. If people are emailing me, then that’s an opportunity for me to help them, share my knowledge, help a client, or generously allow people to become new clients. Often, if I see an email from someone where there is no real activity needed, just acknowledgement or thanks, I go onto Twitter or Facebook and reply there. I send them a tweet and say (for example) “got your email about your event – thanks for inviting me – will check my diary” or something to that effect. Saves the conversation continuing on email – it can then be on Twitter! Or on Facebook chat. This keeps those kind of one liner emails out of your inbox for future! Yes, with some people I send a text message instead – if it’s a conversation that can happen that way, and we have each other’s mobile number – text is easier! It’s actually a better medium for “time and location” discussions for meetings as well. You can drag an email into your calendar and create a diary appointment out of it — useful for task based emails or appointment confirmations. Once it’s in the calendar, you know you can delete the email. I like life hack software. So I use numerous apps and online tools for social media management (like Buffer), project management, content curation, image manipulation, content creation, and sales pipeline tracking. But for email – something I spend a lot of time on, I use several tools to make my life easier. Here is my useful list and review! I have a number of tools I use to manage email. This is an app I like which hasn’t got a very good website or branding so I wouldn’t have bought it if a friend of mine hadn’t recommended it. But it’s amazing! When I send an email this stops me and suggests folders I can file the sent email to straight away. Then I can click on one button in Outlook and the inbox email goes straight in there too. It’s intuitive and easy to use and saves me so much time filing emails. I don’t have to drag and drop, it’s just one click, and sent emails are automatically filed each time. You can download a free trial here: – which is for 30 days. Then, like me, you will want to buy it for $50 as it’s such a timesaver. This is an email filtering system which is absolutely awesome. It has saved me so much time already, even before I succeeded with the amazing achievement of reaching inbox zero (yes, I know – very impressive!). As soon as you run SaneBox on your inbox it filters your email partly into a “SaneLater” folder – for less important emails. How does it know? Well it’s uncanny really but it somehow gets the first lot of emails 90% right in terms of their “unimportance” and then you can rescue some back into your inbox – and on an ongoing basis, “train” the software to know which emails to keep in your inbox – the REALLY important ones – and which are less important. It also has another folder called “SaneNews” and that’s where email newsletters go. And there are a whole load of other amazing features. Including “SaneBlackHole” for unsubscribing quickly to lists you don’t want to be on. I use Evernote to keep track of a whole load of information. 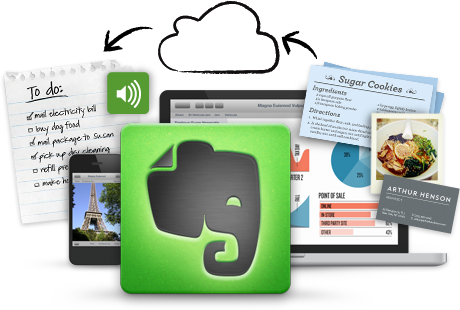 I could write a separate blog post all about how I use Evernote. But one of the things I use it for is to store lists of things – eg lists of places I want to visit, restaurants I want to try, tools I want to test, articles I want to read. If I get an email about something that is information I want to keep somewhere – then I put it into the relevant Evernote note. Then I can delete the email! I now have the upgraded Evernote – so I can used shared folders with some of my team so share project notes, draft messages and ideas. 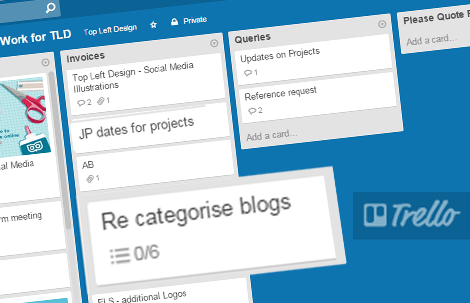 Newly added: Trello – for organising your projects, tasks, email responsibilities, and LIFE! I use Trello to keep up with all the team’s activities and tasks, and assign new tasks. In fact, we all use Trello at TLD! Each person in the TLD team has a board, and we share what’s going on with different projects and update boards with new information, tasks etc. It’s like a list making, project management tool and timesaver tool all in one. For email specifically, if an email contains information I need to keep, relating to a project, I put it in the bit in Trello relating to that project. If the email has a task I need to do, it goes into Trello and out of my inbox. If an email is about a task for one of the TLD Team, I can add it to their boards and keep track – that means the email can be filed. 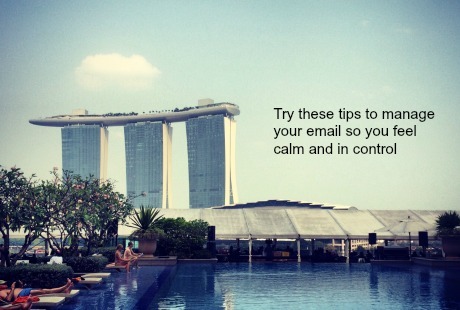 This tool has meant I have been able to reach Inbox Zero several times over, since I wrote the rest of this post in Singapore! But now – wait for it – I have another special secret. An email tracking tool from ContactMonkey that lets you see when the people who you send emails to are opening your email – how often, which email system they are using, and where they are when they do it. I know, sneaky or what? I cant say this is for clearing email, per se, but I wouldn’t want to write a blog post about email management without mentioning that I use this tool, because it’s truly useful in seeing when the right time is to follow up with people who you want to speak to – ie when you know they have opened your email 15 times – it means you are thinking about each other. If your ears are burning this much, then time to reconnect! Visit Contact Monkey (referral link again) to find out more! InboxZero – will I achieve it again? I think to keep it to zero daily means I’d need to dedicate 2-3 hours a day to email and sometimes I have to get out there and meet people, make calls and create stuff. But I will continue to streamline my email management habits more and more, and enjoy my “opportunity inbox” using these methods – and I hope you have found this useful. I would love you to share any other email management tips too as together we can make email fun and exciting again, like it was way back in the 90s. Love this blog – thank you – I am one of those crazys that you refer to at the beginning, but one who also labels and fils much to the consternation of my colleague…. but I wasn’t always and I would love to return to inbox 0…. you have inspired me!